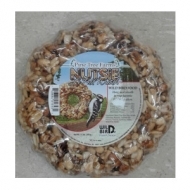 Pine Tree Farms Nutsie Wreath 1.5 lbs. 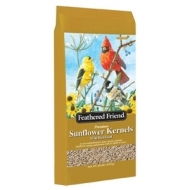 Hand seed wreath in your favorite feeding area and watch the birds come! Audubon Park Nut & Fruit Snack Stack 8.5 oz. Birds' favorite nuts and fruit mixed with millet. Slide up to 4 snacks onto 1 snack stack feeder. Attracts Nuthatches, Chickadees, Finches, Titmice, Jays, Woodpeckers, and others. 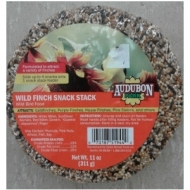 Audubon Park Wild Finch Snack Stack 11oz. Formulated to attract a variety of Finches. Slide up to 4 snacks onto 1 snack stack feeder. 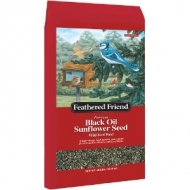 Attracts Goldfinches, Purple Finches, House Finches, Pine Siskins, and others. 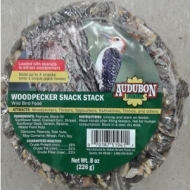 Audubon Park Woodpecker Snack Stack 8 oz. Loaded with peanuts to attract Woodpeckers. Slide up to 4 snacks onto 1 snack stack feeder. Attracts Woodpeckers, Flickers, Sapsuckers, Nuthatches, Titmice, and others. 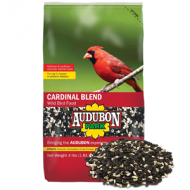 Audubon Park Cardinal Blend 4 lb. 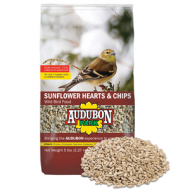 You can count on Audubon Park for safe, natural and nutritious wild bird food that keeps backyard birds coming back for more. 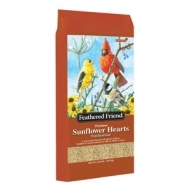 This hearty protein blend attracts cardinals, chickadees, purple finches, titmice, grosbeaks and mourning doves. For use in large, heavy hopper or platform feeders. Family owned, American made. Shell free for less mess and zero waste! Attracts finches, chickadees, sparrows, grosbeaks, flickers, titmice and nuthatches. For use in hopper, tube or platform feeders. Family owned, American made. 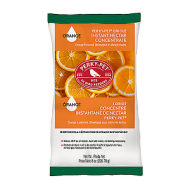 Easy to use powder concentrate - natural citrus flavor. Makes 48 oz of nectar. 100% sucrose – providing high energy nutrition. Simply mix with water – no boiling required. Developed for year round feeding. 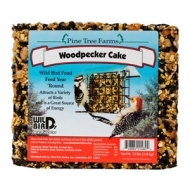 Each Large Seed Cake consists of the finest seed and nuts to attract a variety of wild birds. 2.5 lbs. Developed for year round feeding. 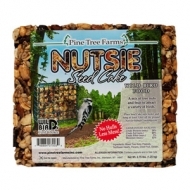 Each Large Seed Cake consists of the finest seed and nuts to attract a variety of wild birds. 2.75 lbs. 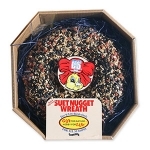 Our Nugget Wreath is the perfect gift for the wild birds that provide enjoyment year round. Made the same way as our Snak™ products, it is a great gift idea for the bird lover! Black Sunflower, Roasted Peanuts, White Millet, Corn, Safflower, Rendered Beef Suet, Oats, Gelatin, Blueberries, Soy Oil, Artificial Cherry Flavoring, Red 40. 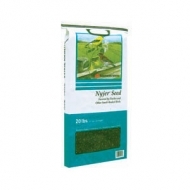 Nyjer seed is a small black seed that is a favorite food for American goldfinches, pine siskins, and other colorful finches. Small birds love the abundant food value and high oil content of this seed and squirrels don't. All species enjoy this high-energy, high protein seed. A year round treat for large species of birds. Get all the energy and protein sunflowers are known for, without the shells or mess. For use in hopper, tube, platform and window feeders. 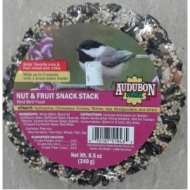 A popular year round treat for all species of birds. All species enjoy this high-energy, high protein seed, and you&#39;ll enjoy the lack of shells and mess. For use in hopper, tube, platform and window feeders. 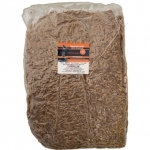 Provides the energy and protein needed by all birds. For Use In Hopper, Tube, Platform And Window Feeders. 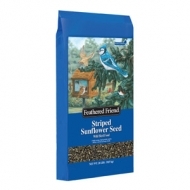 Attracts all sunflower- eating birds with this quality blend of grey striped and black oil sunflower seeds. Provides high energy and high protein for cardinals, bob-whites, grosbeaks and more. For Use In Hopper, Tube, Platform And Window Feeders. 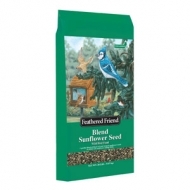 Attract all sunflower- eating birds with this quality blend of grey striped and black oil sunflower seeds. Provides high energy and high protein. For use in hopper, tube, platform and window feeders. 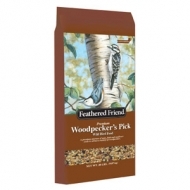 A high-energy, high-protein, year-round favorite to attract a variety of birds to your feeder. This seed appeals to bob-whites, cardinals, chickadees, finches and towhees. For use in hopper, tube, platform, and window feeders. Size is 40 lb. 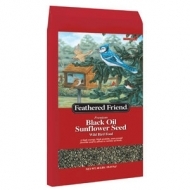 A high-energy, high-protein, year-round favorite to attract a variety of birds to your feeder. 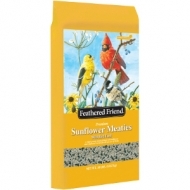 This seed appeals to bob-whites, cardinals, chickadees, finches and towhees. For use in hopper, tube, platform, and window feeders. Size is 20 lb.